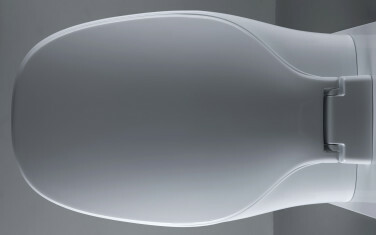 Jets Pearl is a beautifully streamlined vacuum toilet, designed and developed with all user groups in mind. Initially intended for Jets Vacuum’s main offshore market, its sleek lines and universal user friendliness has allowed the company to expand into new land markets, where water is scarce. Jets Vacuum is a global leader in the manufacture of sanitary systems for ships and offshore platforms. Their vacuum flush systems use 90% less water than any conventional toilet, therefore creating less sewage. Being at the forefront of technology and providing superior quality products has always been a main focus for the company, so when they wanted to further improve the aesthetical aspects of their products they invited EGGS to contribute with product development and design ideas. Tor Rønnestad, Director R&D, Jets Vacuum. After EGGS completed a series of primary user studies, Jets Vacuum agreed upon expanding the project to include all other aspects of product design. Whilst developing the toilet basin for Jets Pearl, EGGS, in collaboration with Minoko, has been involved in everything. From attaining user-insight from maintenance and cleaning personnel to user ergonomics, industrial design and technical functionalities. In-depth user studies revealed that to create a flawless toilet, whether it be for a cruise ship, freight vessel or yacht, we had to fully consider all users of the product, taking into account not only the needs of users themselves but also those of cleaning personnel, service technicians and installation engineers. 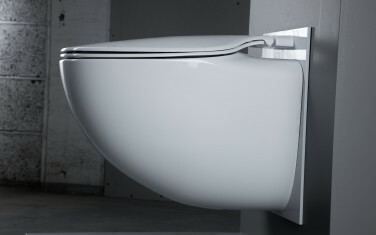 The result is Jets Pearl, a toilet with no sharp edges, awkward corners or hard to reach mechanical fasteners. Both the seat and lid is fastened to the wall, creating ample room for cleaning behind the basin. The water surface within the basin is formed to prevent any possible splash-backs and the basin and seat is oval shaped and longer than normal, allowing for maximum ergonomic comfort, regardless of users’ body size. Launched during 2013, Jets Pearl received rave reviews. Combining exceptional quality, first-rate technology and outstanding contemporary design with excellent water efficiency, Jets Pearl is an exemplary example of how future design thinking can enable a company like Jets Vacuum to expand into unforeseen markets and financially increase its annual turnover. In April 2014 Jets Pearl won the Award for Design Excellence, presented by the Norwegian Design Council, and during the same year won the Norwegian Export Award.